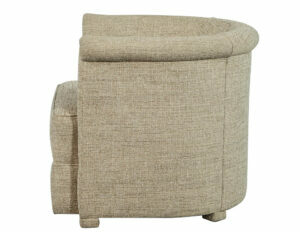 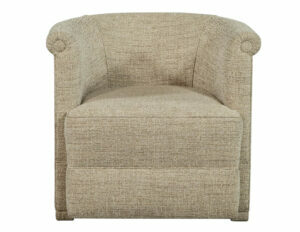 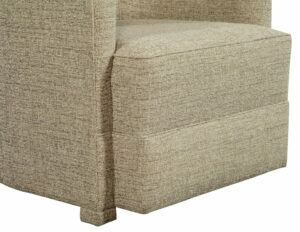 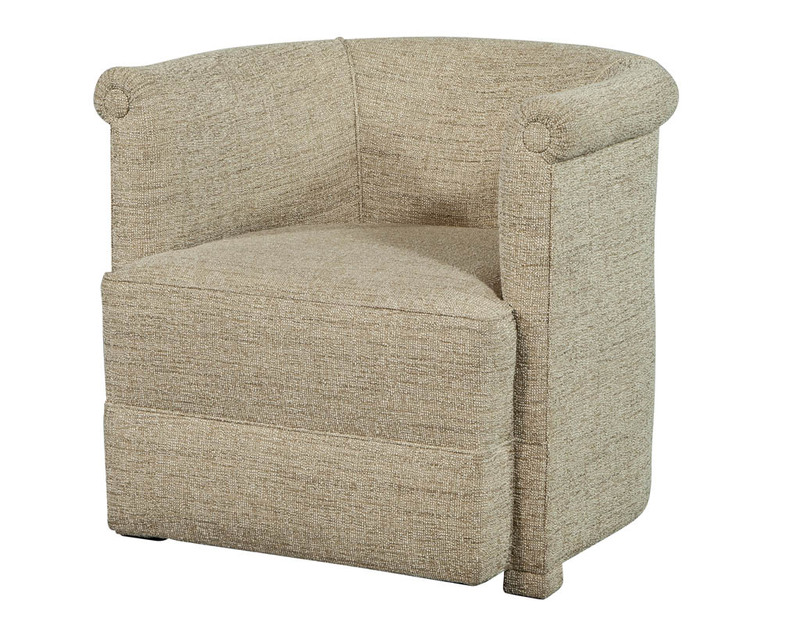 This Traditional tub chair is a comforting, classic piece. 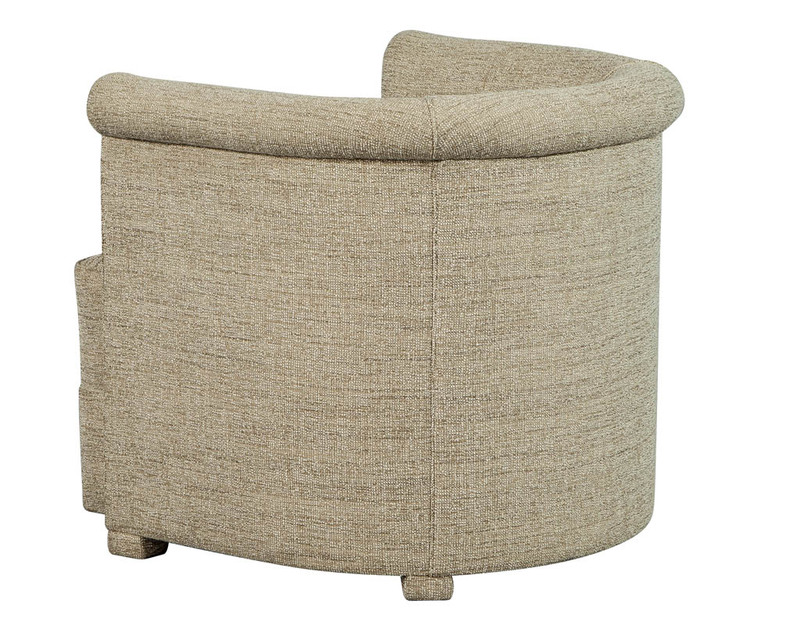 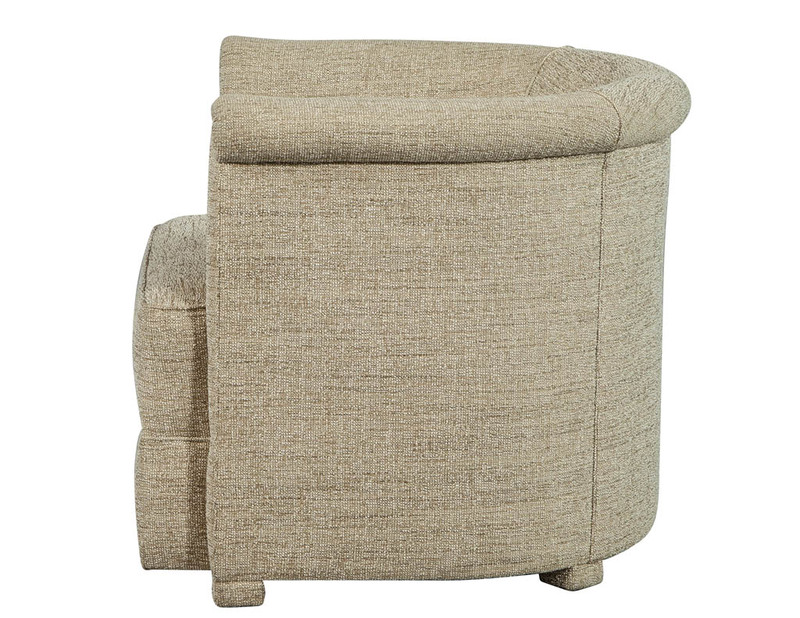 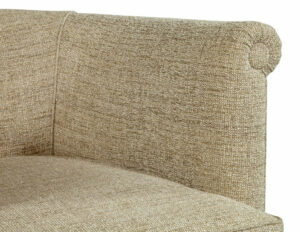 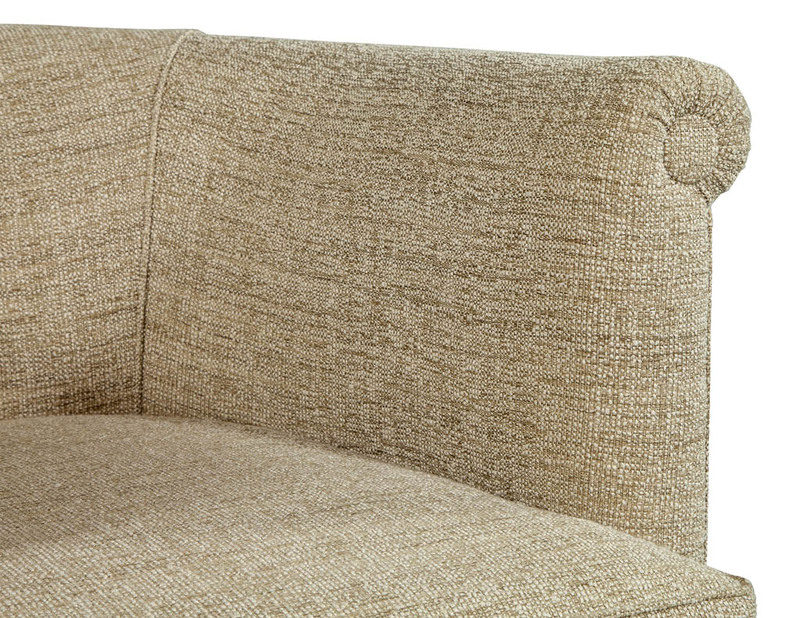 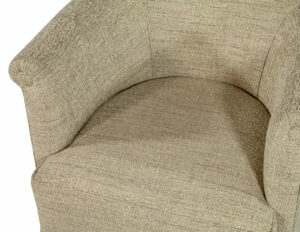 It is fully upholstered in a textured, woven, wheat-colored fabric with a curved back and single decorative button on the ends of the arm rests. A soft, warm piece perfect for any sitting area!